It's going to cost you more to visit Disney World, but this isn't the end of the world -- or the World. 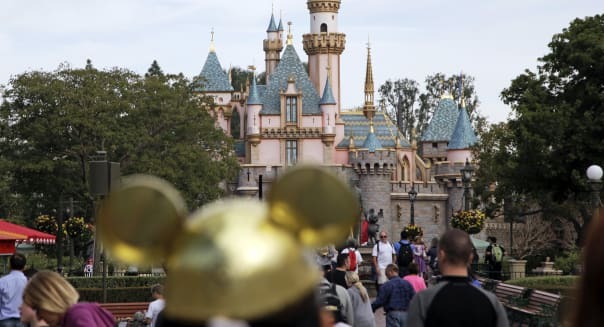 Disney's (DIS) move to raise ticket prices last month is not a surprise to those who have been following the family entertainment giant. Disney has rolled out admission increases on an annual basis for ages. You have to go all the way back to 1988 to find the last year that one-day tickets didn't move higher, according to AllEars.Net. Even the timing isn't a surprise: Its previous increase also took place during the final weekend in February. There was an element of surprise in last year's move: The three previous annual hikes had taken place in early June, following five consecutive years of August increases. Yes, it will cost more to visit the world's largest theme park resort. It's just not as big a deal as you might think. A day at Magic Kingdom will now set you back $105, up from $99 before the Feb. 22 hike. Admission to Disney's three other Florida theme parks rose $3 to $97. Disney stopped charging the same rate for its four theme parks in 2013. The media is playing this up as Disney World prices breaking into the triple digits, but that was actually already the case last year. These prices don't include the Florida sales tax that pushed the previous $99 entrance at Magic Kingdom to $105.44. Factor in parking -- now a whopping $17 a day -- and the money spent on food and souvenirs, and that sum shoots even higher. It's the nature of inflation in entertainment. We all see our cable bills, multiplex admissions, and pro team season tickets creep higher with every passing year, so why not theme park admissions? It's also not a big secret that few guests will actually be paying $105 a day to visit the Magic Kingdom. Disney prefers to sell multiday tickets that drive down the prices substantially. A five-day ticket costs $315, or $63 a day. A 10-day ticket is just $365, or $36.50 a day. There's a catch with the multiday discounted tickets: They expire within 14 days of the initial use. (Of course, you can pay more so that they don't expire.) Disney wants tourists heading down to Central Florida to make its parks a priority, keeping them away from rival attractions. It has fleshed out an ecosystem of resort hotels, complimentary transportation, and more recently MyMagic+ ride reservation technology to keep guests close. It even offers resort guests extended operating hours at its parks. It's easy to see why Disney wants to keep tourists at its resorts. The Orlando area is ramping up its attractions, and these days there's no bigger threat to Disney World than Comcast's (CMCSA) Universal Orlando. The rival theme park operator has been growing faster than Disney since opening The Wizarding World of Harry Potter five summers ago, and this past summer's expansion of the Potter-themed attractions resulted in Comcast's theme park revenues soaring nearly 30 percent in its latest quarter. This doesn't mean that Disney is wrong to raise prices. It, too, is checking in with record theme park attendance in Florida despite a lack of recent major attractions being added to its parks. The economy's improving, and families that had put off a trip to Disney World aren't going to let a $6 price hike get in the way. Disney also knows that it will be a major beneficiary of the sharp drop in gasoline prices, giving it the flexibility to raise prices since it knows guests will need to shell out less to get there. This summer is going to be another big one for amusement and theme park operators, and higher ticket prices will translate into even greater operating profits for the companies manning the turnstiles. Motley Fool contributor Rick Munarriz owns shares of Walt Disney. He operates a few theme park-related websites as well as the All Things Florida YouTube channel. The Motley Fool recommends and owns shares of Walt Disney. Try any of our Foolish newsletter services free for 30 days. Looking for a winner for your portfolio? Check out The Motley Fool's one great stock to buy for 2015 and beyond.